In component-based software development, object-oriented design (OOD) frameworks are increasingly recognised as better units of reuse than objects. This is because OOD frameworks are groups of interacting objects, and as such they can better reflect practical systems in which objects tend to have more than one role in more than one context. 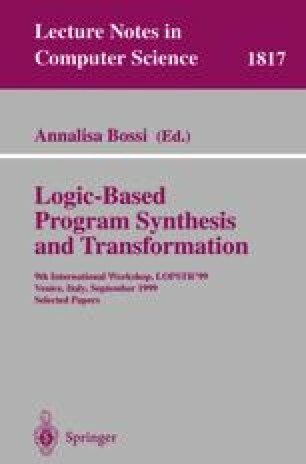 In an earlier paper, we described a formal semantics of the static aspects of OOD frameworks in computational logic. In this paper, we make a preliminary attempt to extend this to the dynamic aspects.